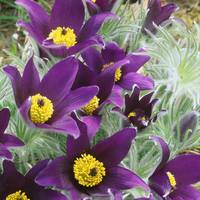 Pretty purple blooms throughout the summer months makes this a beautiful variety that will stand out in any garden. 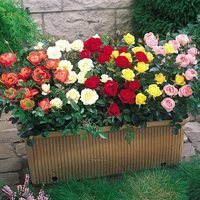 We supply only top quality two year old rose bushes, bare rooted and wrapped to prevent roots drying out. These are pruned back and ready to be planted on arrival. It is best to plant roses in winter or early spring, provided there is little frost. 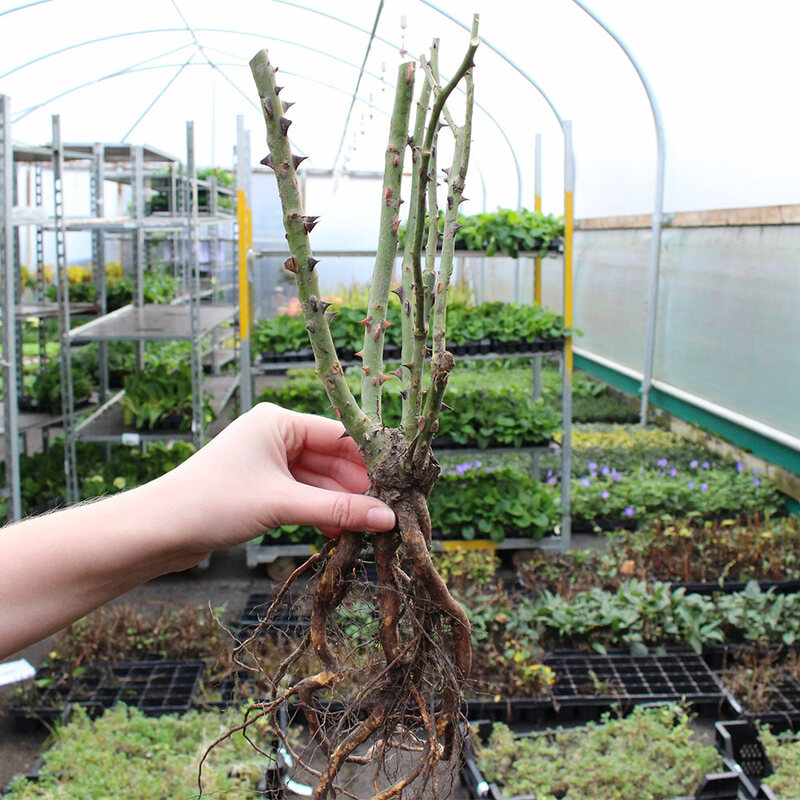 To plant, dig a hole large enough to take the roots when fully outspread. 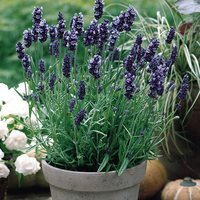 Distribute the roots evenly around the hole and put in a little fine soil to which hasbeen added a small amount of bonemeal. 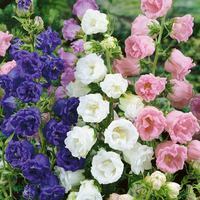 Fill in a further 5cm of ordinary soil over the roots and tread in firmly. 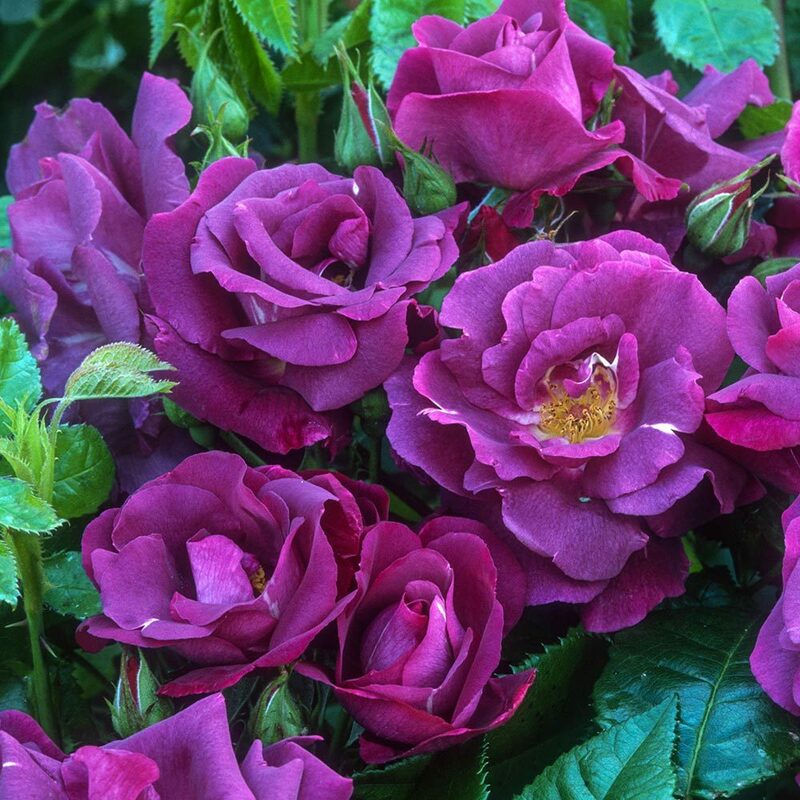 Generally speaking the depth of planting roses will vary between 10-20cm, but examination of the plants should let you know quiteclearly the depth to plant. 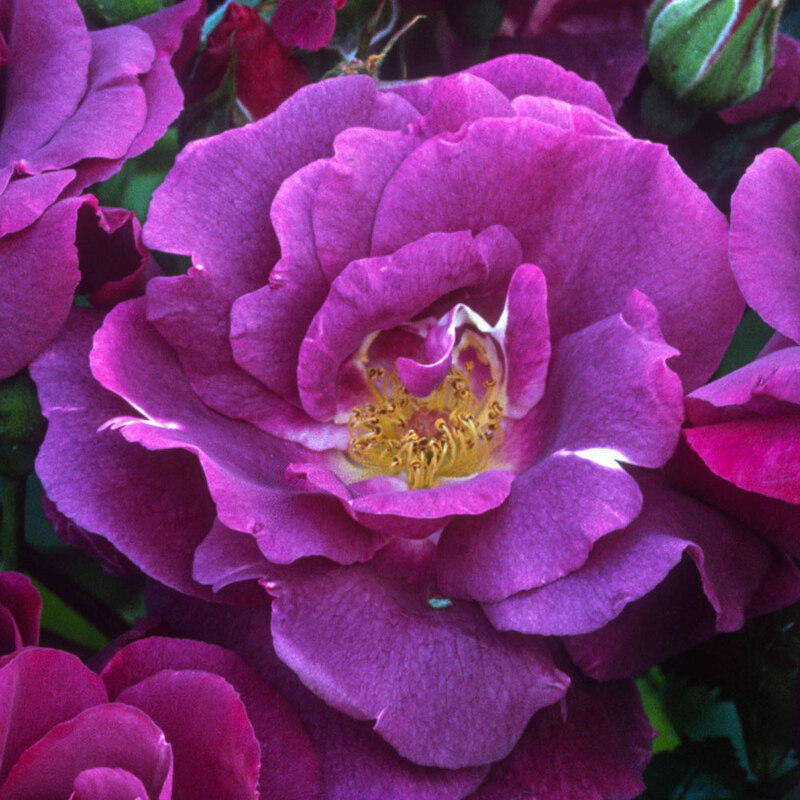 It is vital that roses are planted firmly, to ensure that winds will not damage or disrupt the roots. Apply a balanced fertiliser every 3-4 weeks in the spring/summer and it is also recommended that you apply a mulch in the winter for protection.Can be pruned back to remove any dead wood or growth.